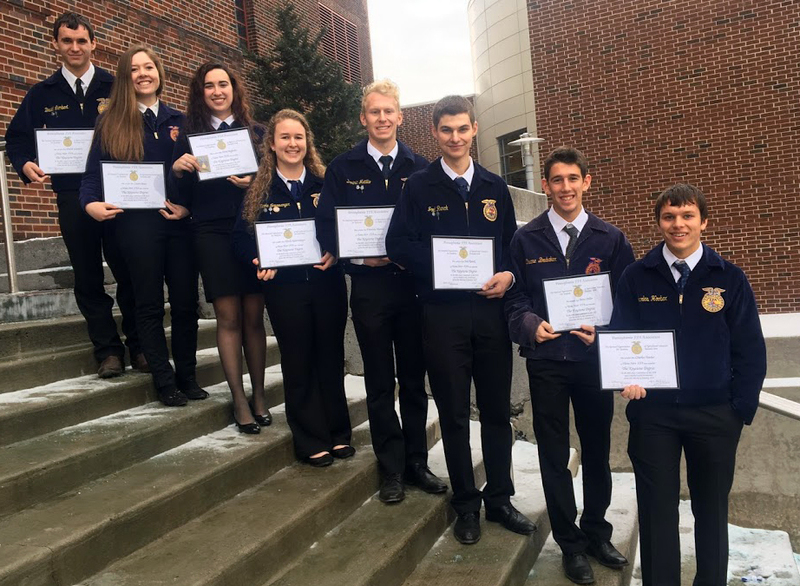 Eight students from Lancaster Mennonite High School received FFA Keystone Degrees and three received FFA jackets at the PA Farm Show. The Keystone Degree recipients were David Lambert ’18, Laura Jones ’18, Anna Reyburn ’18, Nicole Newswanger ’18, Dominic Mattilio ’18, Joel Ranck ’18, Brett Diller ’18 and Chet Hoober ’18. 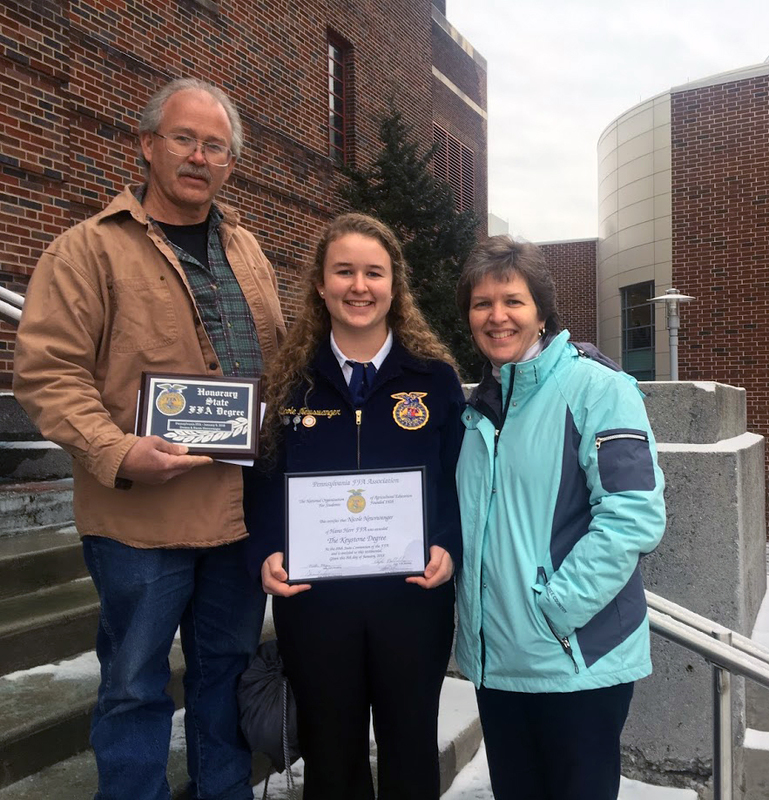 To receive the Keystone Degree, FFA members needed to have a Supervised Agricultural Experience (SAE) that showed at least 300 hours of work or $1,000 earned. An SAE could be an employment, research project or entrepreneurship project such as raising an animal. They also performed least 25 hours of community service, participated in 15 local, county, state and national activities, and demonstrated leadership skills. Nicole Newswanger was the third child of Dwane and Karen Newswanger, Bainbridge, to receive the Keystone Degree, and her parents were recognized with an honorary Keystone Award for family achievement. 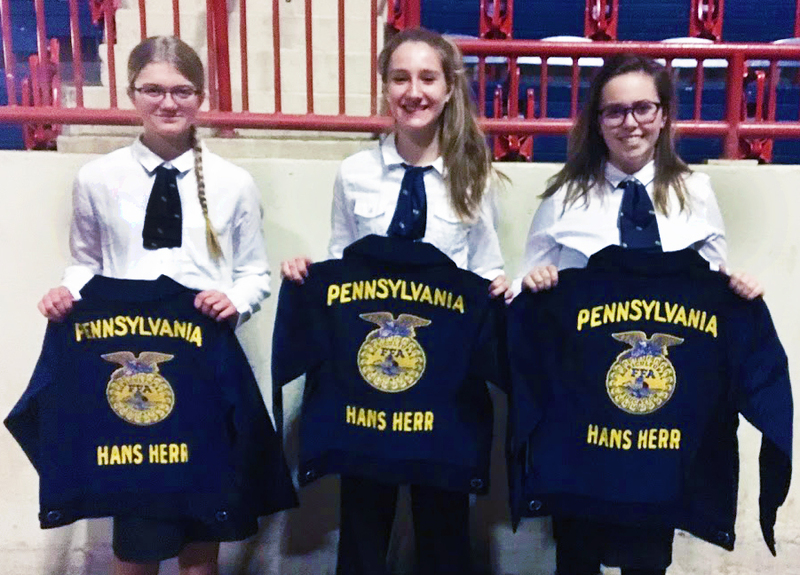 Bethany Crain ’21, Sheyenne King ’21 and Hannah Kirk ’21 were awarded FFA jackets. Lancaster Mennonite High School’s Hans Herr FFA chapter is led by ag-tech teacher Ryan King and is notable for having its meetings integrated into the school day, having agriculture-related courses as part of the school curriculum and having a campus building devoted to agriculture and technology.